Maintaining balance between five elements is essential for progress. Fountain increases or balances the water element. Water is related to our daily requirements. Let's see uses of fountain and its importance. Water is also related to income. Business brings in money. As per science fountain creates a positive environment as well. Water represents money. According to science place where fountain is placed at that place quantity of negative ions is increased and positive ions are decreased. Negative ion are good for our body and they increase immunity and oxygen level in the body. But a fountain can't be placed in any direction but before placing it a Vastu expert should be consulted. 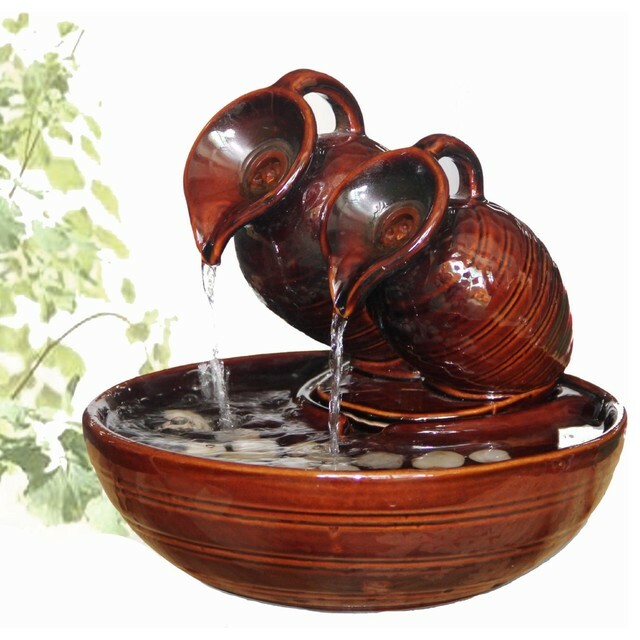 When a person comes home from work and is stressed then after seeing the fountain feels happy and relaxed. If the inflow of money is stopped then also a fountain can be kept in order to correct the money flow. On the table in office if fountain is placed the it removes stress and gives power. Water should be flowing in it without any stoppage. A stopped fountain indicates loss of money. But if there is room in this direction then should not be done. It should be kept in left side of the main gate and never at the main gate. In fountain water should flow in upwards direction and lights should also be there with it. Also the sound of water should be heard clearly. Fountain should not stop otherwise it effects the flow of money. fountain should be place in water element zone means north area or wood element zone (east area) because water creates wood. do not place it in south zone or west zone or middle of property, it is very bed in this zone. I have one of those exact fountains in the picture you posted and it's by far one of my most favorite indoor water features that I've ever owned!